Tailored to the female form, the Blackened Mina Chest Armour offers a great look for shieldmaidens, lady knights, and warrior princesses. The steel armour features a dark metal finish and decorative rivets along the edges. Shoulder straps connect the womens breastplate to a small shield in the back, allowing size adjustments. 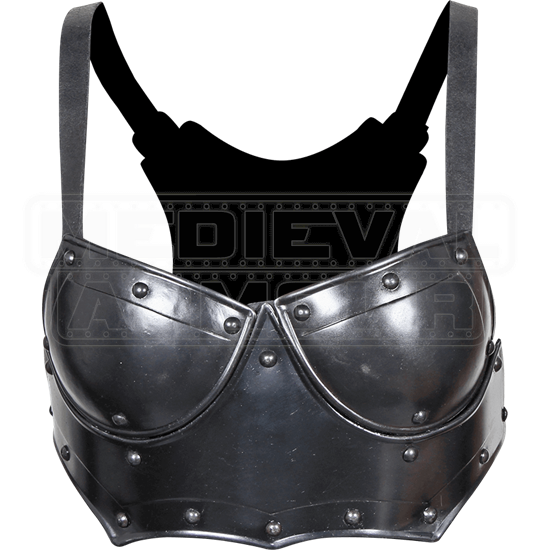 Please note that the steel breastplate is not adjustable, which may restrict who the breastplate will comfortably fit. The chest armour cuts off at the midriff, allowing the torso to rotate and move with relative freedom. 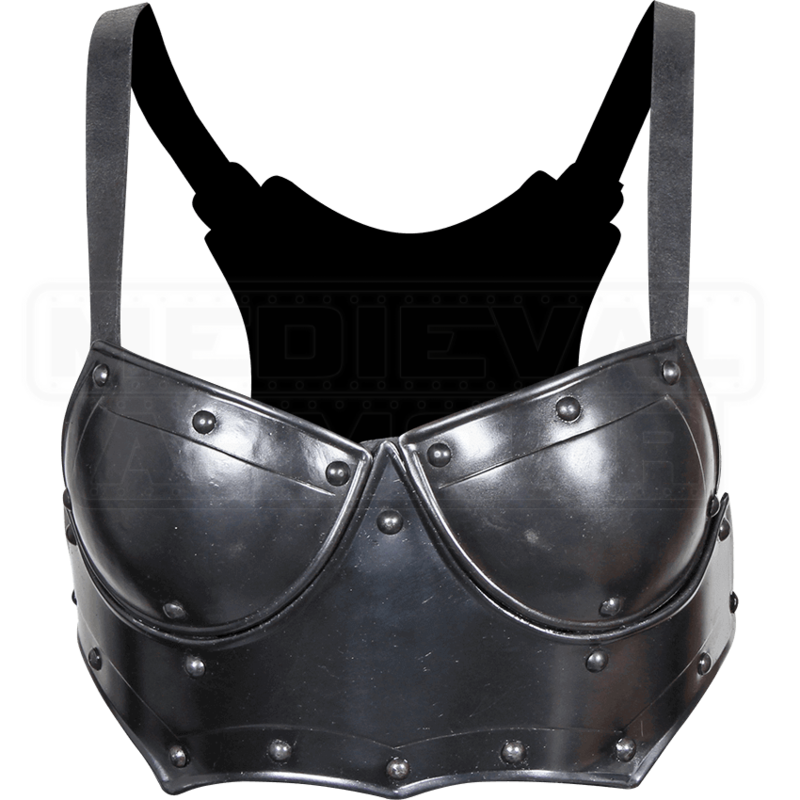 Be sure to check out our other Mina-style armour when creating your next outfit for LARPing, re-enactments, or the Renaissance fair!